Gorgeous Mountain Views! 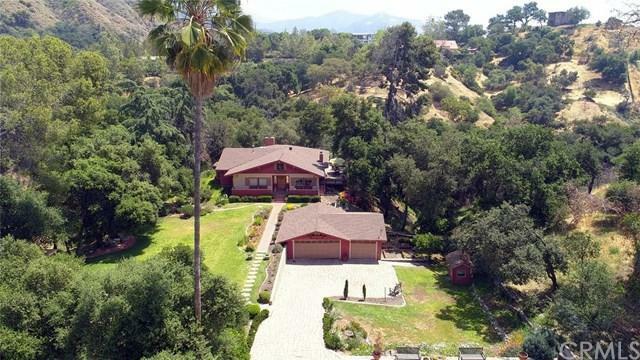 Three bedroom home in a secluded private setting with gorgeous mountain and hillside views on a picturesque 1.39 acre lot with lush mature landscaping, fruit trees and a stream. 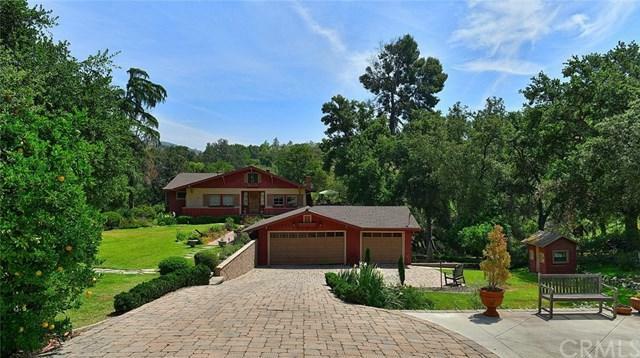 Surrounded by million dollar homes a gated entry leads you to this spectacular property with long paver driveway with a spacious parking area, large front lawn area with cozy sitting area with fireplace, and brick walkway that leads you to charming front porch. Home features spacious living room with brick fireplace, dining area, separate family room with fireplace with breath taking views of canyon, remodeled kitchen with center island with granite and limestone counters, Viking stainless appliances, newer cabinets, and Sub Zero refrigerator. Master suite with walk-in closet and remodeled master bathroom with dual sink vanity with granite counter. Two additional large bedrooms, two lofts, and an additional bathroom complete this beautiful home. View deck off living room and kitchen is perfect for summer evening dining. Upgrades include: copper plumbing, new HVAC, newer roof on house and garage , and new deck. 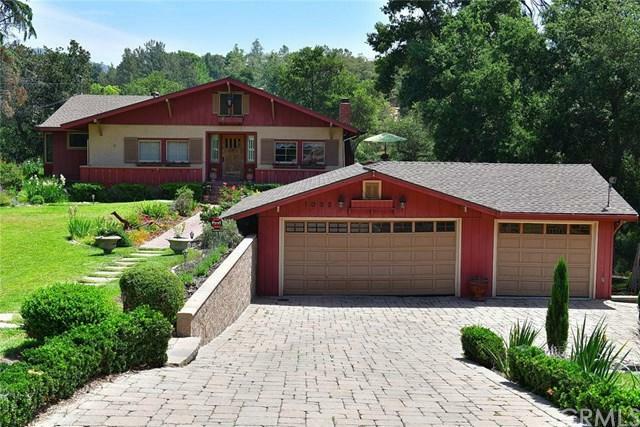 Three car detached garage and potential for RV parking. 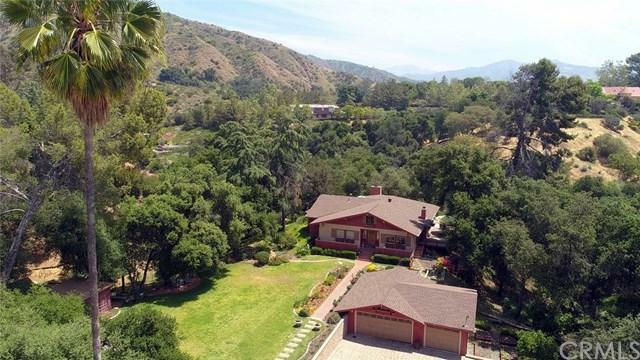 Zoned for Horses (Buyer to check with the city) This home is perfect for someone looking for a secluded home yet close to downtown Glendora Village and an amazing opportunity to create your dream home.